November is fast ending but it’s not over till end-November! Shark-related stories continue for the rest of the month of November at one of our favorite cable TV channels. Brace yourselves for more of these sharp-toothed carnivores. Shark lovers and “finatics” can watch out for more jaw-inspiring tales and brand new premieres such as I Escaped Jaws 2 and Sharkageddon. 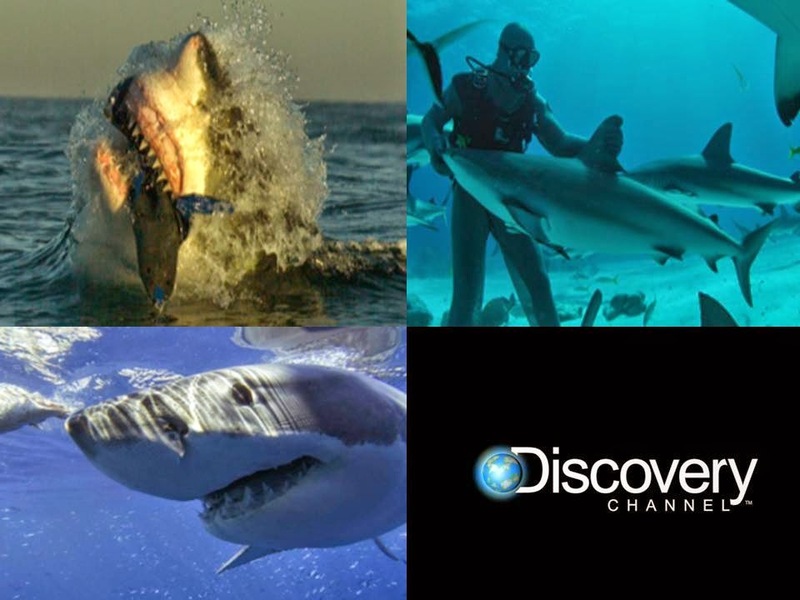 Sharks take the center stage every Sunday until November 30 from 8:00 to 10:00 p.m. on Discovery Channel. We all loved the Steven Spielberg movie series Jaws, and couldn't get enough of other stories related to sharks. These creatures of the sea are considered the most ferocious and threatening. Who doesn't fear waters infested with sharks. I wouldn't to go to the beach only to find out my life, or limbs, is/are in danger. Natural history producer Jeff Kurr and his team use incredible new cameras and high-tech underwater gadgetry to track down a missing "mega shark" named Colossus. Take a look at the most insane bites, strikes and close calls from this year’s SHARK MONTH. Marine biologist Greg Skomal and Discovery Channel’s shark camera team travel to the remote Pacific island of Guadalupe – home to some of the largest great white sharks on earth – to film an epic clash of the titans. Their mission: to film jaws hunt two-tonne mega seals. A legendary hammerhead shark is believed to have been patrolling Florida’s shores for the past 60 years. Now, a team of scientists and anglers look to uncover if the legend could be real. Shark researcher Paul Clerkin heads to the Indian Ocean to investigate the ocean’s darkest depths in search of shark species that scientists never even knew existed and get a glimpse of the last known group of bioluminescent sharks in the world. Famed shark experts Jeff Kerr and Andy Cassagrande head to New Zealand to investigate the sightings of a 20-foot Great White that resembles the legend of a giant Great White that the Maoris refer to as the “Lord of the Sharks". This special explores tonic immobility, a catatonic zombie-like state that can be achieved in sharks. This shark phenomenon has been studied by scientists for years, but a recent spike in Orca whale attacks on Great White sharks suggests that Orcas have now learned how to immobilise and prey on Great Whites. Professional diver Eli Martinez looks to prove this theory by being the first person to induce underwater tonic immobility in a massive Great White. Dr. Michael Domeier has spent years scouring the Pacific Ocean hoping to solve one of the greatest mysteries of shark science – the location of Great White pupping grounds. In 2013, he set the process in motion by successfully tagging a pregnant female shark that he called Gil Rakers. Now he’s returning to the sea to follow her journey and be the first to capture the birth of a baby Great White. These are the stories of shark attacks, told from the perspectives of survivors. Using first person interviews and actual footage of the attacks, take a look at why the attacks occurred and how the victims narrowly escaped. Recent spikes in shark attacks in Hawaii are turning these shores into a shark hot spot. Hawaiian native and surf legend Kala Alexander knows these waters better than anyone, and he hopes to uncover the reason behind this sudden shark invasion. It is so fascinating how they were able to make documentations about sharks even though they are very dangerous. I admire the braveness of those scientists. Through these programs, people can understand the real life of those sharks. Those who love these sharp-toothed carnivores (sharks) won't miss this Shark Adventures for sure! Informative and extraordinarily beautiful. Although some people passionately hate sharks, I find this article very interesting to read, discovering new things about them. So disappointed I wasn't able to watch all of these! These shows need great amount of hard work and courage for all the crew risking their lives to document the behavior and lives of these ferocious creatures among our oceans! I salute everyone who was ever part of these documentaries. It takes an immense amount of courage just to deliver these and fill up the knowledge of people among sharks! This is very exciting. I love watching shark movies because they give thrill. My favorite is mako shark. How about yours? I saw their sneak peak on TLC last week and I just can't help myself nit jump off my seat then close my eyes. They are literally filming themselves interacting with sharks. Hands down to the production for that!